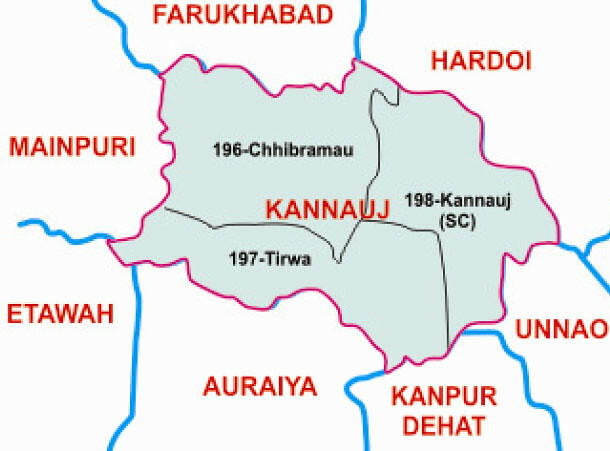 There are three legislative assembly constituency in Kannauj district for the 2017 Assembly elections. They are 196 Chhibramau, 198 Kannauj, 197 Tirwa. When Uttar Pradesh assembly election 2017 is getting ready to electios new Assembly, Kannauj is not anywhere behind in the election heat. Kannauj District is an administrative district of Uttar Pradesh state in northern India, along the river Ganges. The historic town of Kannauj, northwest of Kanpur, is the administrative center. The district was carved out of the Farrukhabad district on September 18, 1997.